Born in Anaheim, California, Young was a natural athlete, playing baseball at Calvary Chapel High School in Costa Mesa, California. High school would also introduce him to singing when he replaced an absent band leader during a Christian worship meeting. While sports would take him to Ole Miss on a baseball scholarship, Young's future in the professional sport came to a halt after an elbow injury at Fresno State took place in 2003. With baseball behind him, Young worked on music in Los Angeles for eight years before moving to Nashville, Tennessee. With various self-releases under his belt to show for, Young was signed to Big Machine Label Group in August of 2015. 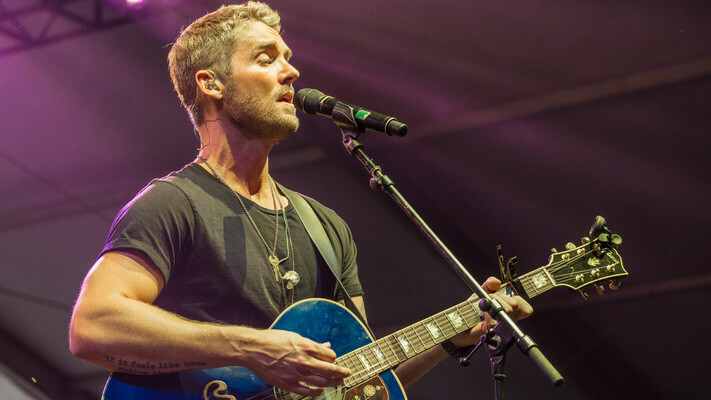 After a self-titled EP release in 2016, Brett Young dropped his self-titled studio album on February 10, 2017 with universally acclaimed producer Dann Huff behind it, Huff's previous works include Thomas Rhett, Steven Tyler and Keith Urban. Brett Young co-wrote 11 of the 12 album tracks including the No. 1 singles "Like I Loved You," "Sleep Without You" and "In Case You Didn't Know." Young's SoCal roots attribute to his West Coast meets Southern sound that has propelled him to the top of the charts, a sold-out 17-date headlining tour and opening slots on world tours for artists such as Lady Antebellum and Thomas Rhett.